Some map functions like compass and map mode may be hidden in the action overflow. You can reveal a list of all the hidden actions by pressing the overflow button on the right hand site of the screen (or the device Menu button, if available). 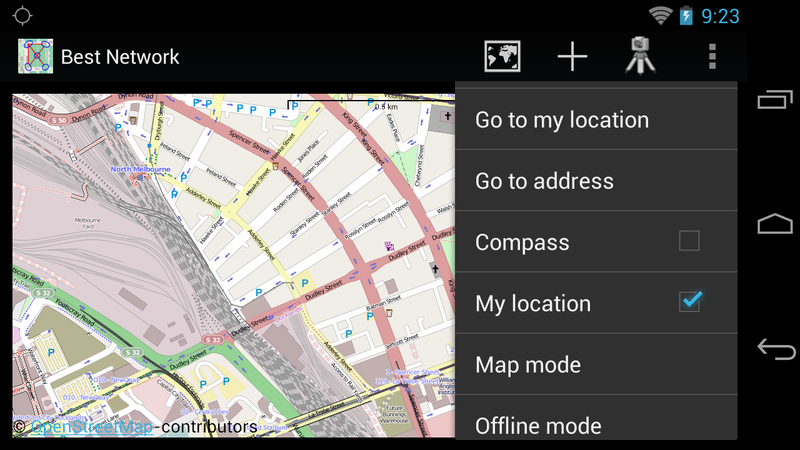 Show your current location on the map by using Google Location Service (GPS, wireless networks or cell networks). Make sure you've enabled Location Services on your device. Press the button and the screen will center on your current location. 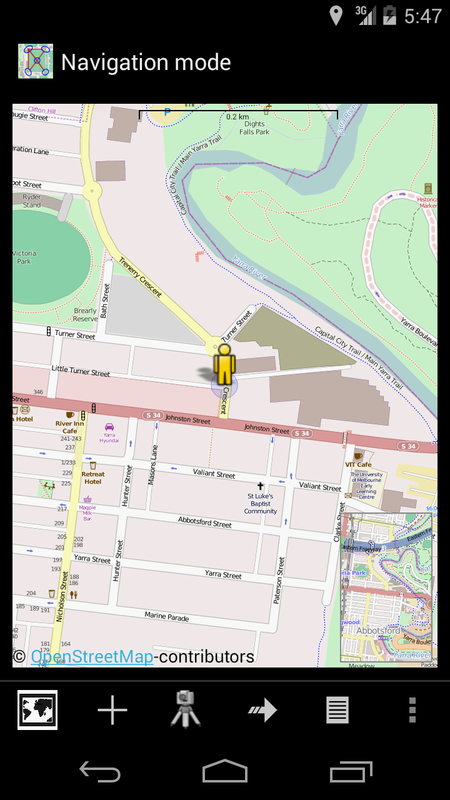 The location is represented by a little yellow man on the map. Click again, if location is not yet accurate. 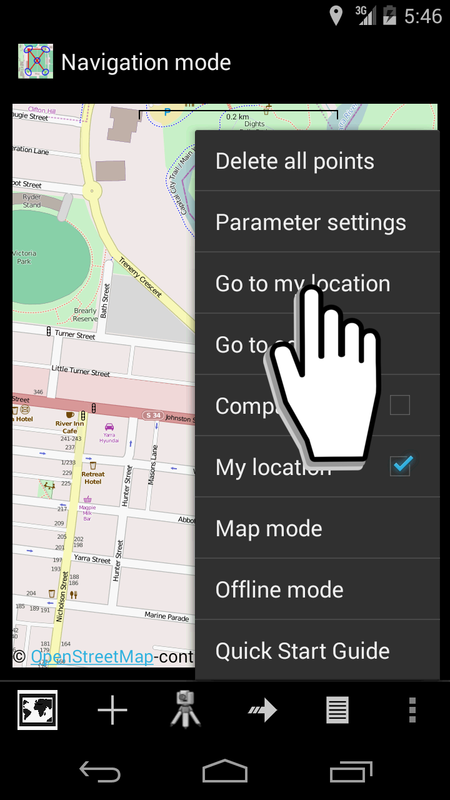 Turn off your location by clicking "My location" check box. Location symbol will be shown only, when this check box is enabled. 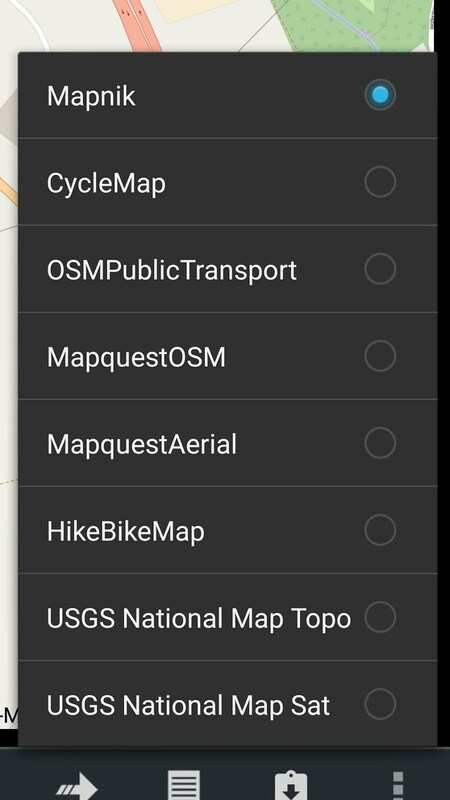 In the search box, enter the name of a place you're looking for. Google Location Service will move the map to this location. If you do not want to use your internet connection all the time, offline mode can be enabled. Keep in mind that in this mode no tiles will be downloaded. If there is no tile locally available a grey grid will appear instead of a map tile. If you wish to use a certain area later in offline mode, simply pan over that area in online mode. Wait a bit that all tiles can be downloaded (no grey grid visible). Do that for every zoom level separately. 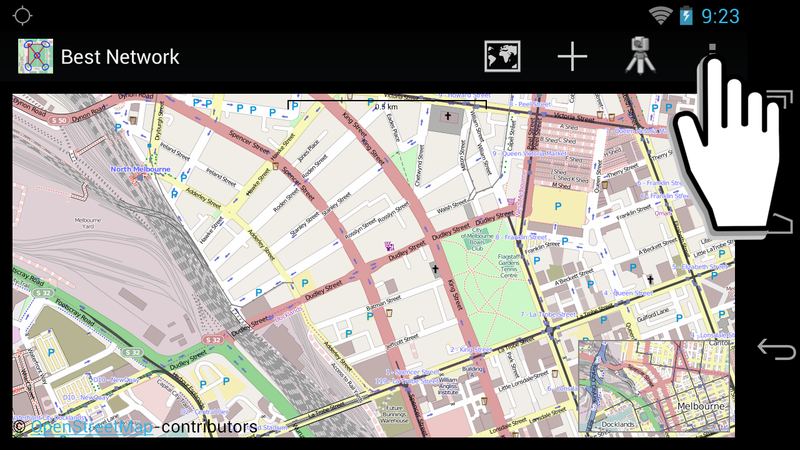 Map tiles are continually downloaded to your android device. Several tiles are needed for every map window at this location and zoom level. All tiles are stored locally after downloading. Applying this mechanism has the advantage that tiles doesn't have to be downloaded every time.